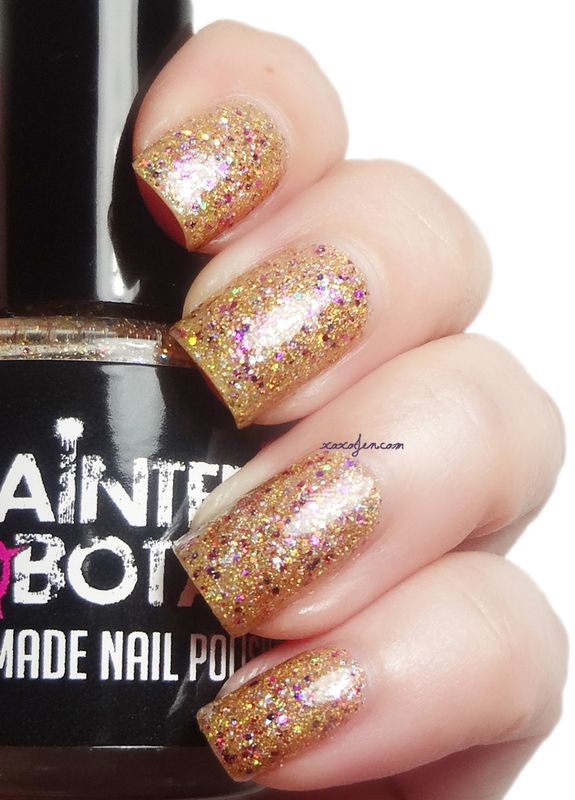 Caution I Stop for Shinies is a combination of super sparkly gold and pink glitters in clear base. I wore two coats and it was opaque all on its own. This can be worn in just one coat over a base color if you prefer. The formula was fantastic as well - not goopy or thick and glitter easily loaded onto the brush without digging or redipping. I think will make a great holiday polish! What are you wearing for the holidays? You can find this and many other beautiful polishes at the Painted Sabotage Etsy shop. 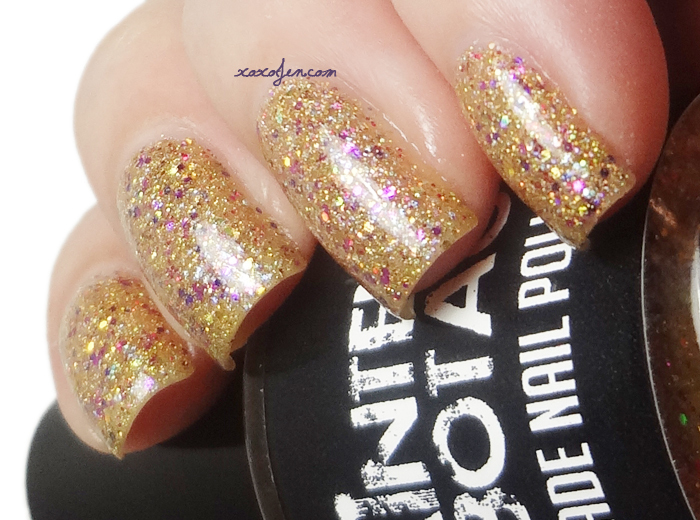 Such a lovely gold glitter polish that is!